at left : Sonny Burgess (guitar), unidentified drummer, and Kern Kennedy (piano), Green Bay, Wisconsin, 2005. Photo : Craig Morrison. I had long admired Kern Kennedy’s piano playing on records by Sonny Burgess and the Pacers, from the great rockabilly they recorded at the Sun Studio in Memphis in the 1950s to more recent sessions. "Burgess and his band, by then using the name the Pacers, first recorded on May 2, 1956, at Sun. Though Burgess never had a national hit, the first record, "Red Headed Woman" backed with "We Wanna Boogie," reportedly sold over 90,000 copies, and other releases were hits in regional markets. 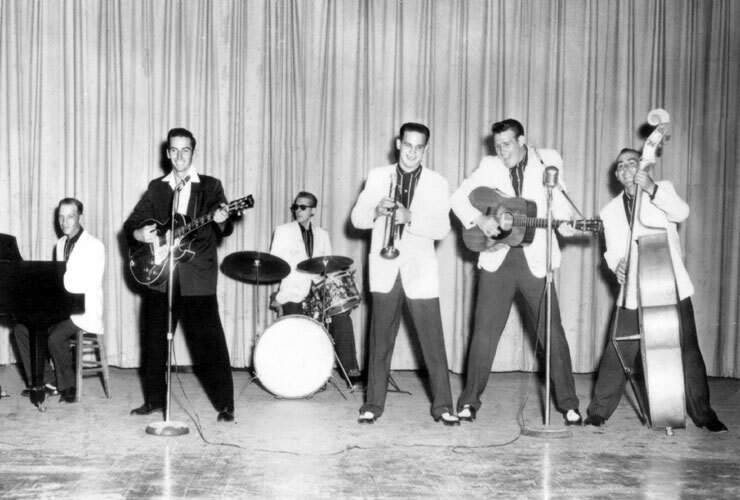 The six-piece band was very popular for its wild live show—a couple of times Burgess was even decked out entirely in red : shoes, socks, shirt, suit, guitar, and dyed red hair—and toured extensively with label mates Johnny Cash and Roy Orbison…. Many of Sonny Burgess’ recordings have an exuberant, fun quality, and the arrangements are often clever and effective. The Pacers were a great band." The first time I met Kern Kennedy was in July 1997, at the Memphis Jazz and Heritage Festival. This interview took place in Green Bay, Wisconsin, at the Rockin’ ‘50s Fest II, on April 12, 2005. 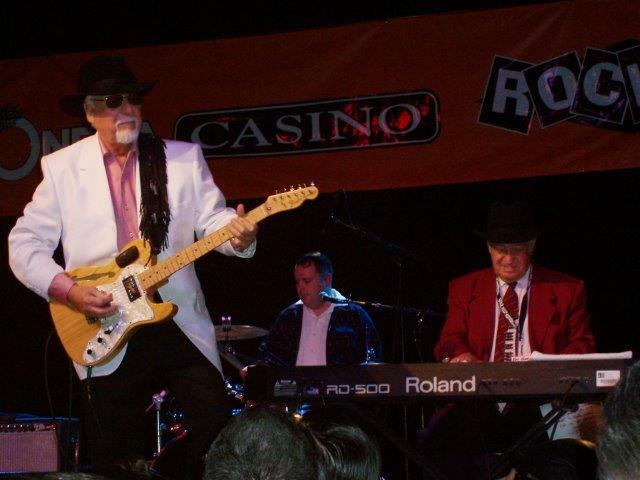 In September 2011, Sonny Burgess and the Pacers came to Montreal to play the Red, Hot and Blue rockabilly festival. The band was good as usual and it was wonderful to see Kern Kennedy again. I said hello and mentioned the Green Bay interview we had done and he said “God bless you” and again when I helped him off the stage (he had a walker then, like my dad). He played great and so did Sonny. at right : Sonny Burgess and the Pacers, around 1957, at Newport (Arkansas) High School. From left : Kern Kennedy, Sony Burgess, Russ Smith, Jack Nance, Joe Lewis, Johnny Ray Hubbard. Photo credit : Sonny Burgess, who granted permission to publish it. 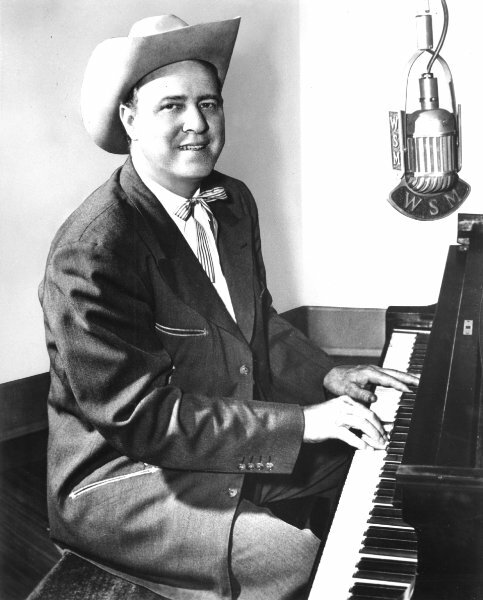 Kern Kennedy : Years ago there was a group in Memphis called Buck Hearn and the Buckaroos, strictly a country and western group, but in that group they had a blind piano player that played by ear. It amazed me. This was the first guy I’d ever seen play without using music, and I said, “Well, this is something that I would like to be able to do.” I was raised on a farm there in Tuckerman, Arkansas, a town of about 1200 people. My dad was a cotton farmer. When he didn’t have me out there plowing that tractor, I’d walk up to town, about a mile and a half, to the old Baptist church and plunk around on the piano, ’cause I didn’t have one at the time. If you want to do something bad enough you’ll put forth the effort to do it. I’d spend my time in there playing and I’d never get tired. The thing that made me the tiredest is the thing I would do, to strengthen my hands. Craig Morrison : What was it that made you tired ? KK : Some of the boogie licks that you do, the bass runs, would make you tired. I’d sit there and do it till my hands nearly fell off. But today I can play all day long and never get tired. My back maybe gets tired, but not my hands. CM : And they didn’t mind you doing that at church ? No one was bugging you ? KK : No. Understand, I didn’t play the one at the auditorium, I played the one down in the basement. CM : You always hear that church people didn’t want to hear the boogie stuff, and the story about Jerry Lee Lewis getting kicked out of Bible school ’cause he played hymns boogie style. KK : People like Sister Rosetta Tharpe did a lot of things that had a lot of blues in it, lots of boogie in it you know. CM : But some people didn’t like that. KK : Oh yeah, dancing’s sinful, whatever. And I come from that area. CM : Did you ever get anybody telling you that the music that you were doing was the devil’s music ? KK : I had ran into some of that. I would always say, “Well, if it is it must be in the Bible, so can you show me that ?” I think God is too busy to be interested in whether you’re playing boogie woogie. All of us to a certain extent are good ; all of us to a certain extent have evil things about us, maybe. CM : Somebody [Jim Dickinson – see his interview here] called it the God versus Devil conflict, and it seems that it runs through a lot of southern musicians, like Jerry Lee Lewis. KK : Yes. Jerry Lee, his cousin Jimmy Swaggart and Mickey Gilley. CM : The people would say that you’ve got to serve somebody or something and if you’re playing this music in a place where people are drinking and dancing, then you’re serving the wrong thing. KK : I guess it’s one of those things about mankind that we never understand : everybody’s a sinner ! My plate’s not clean, nobody has a clean plate ! CM : Did you attend that church ? KK : I was raised a Southern Baptist. Yes, I’d walk up town to the old church there with my mom, go to the church. CM : So you did those hours and hours of practicing at the Baptist Church ? CM : Did you ever hear some of the old blues guys ? KK : Oh yeah. Meade Lux Lewis, guys like that, all great players, fantastic players. Most of that I heard on the radio – I would listen to a Memphis station, WDIA. It had all black entertainers just about, and some of the finest boogie woogie piano players. I’d hear somebody [and think] : “I’d like to be able to do that.” I’d sit and listen and I’d fool with it. I learned to play by ear a system of chords, making a chord with your left hand, playing the melody with your right, and eventually learned the chords, the very rudiments of playing by listening. I taught myself to play by ear. To train that ear to hear a sound. Most people who say they play by ear, really they play from memory. The guy who plays by ear trains his ear to hear a sound and knows where that sound is. Most of the bands I had heard were fellows that played by music and had learned to play music in school. It seemed like Japanese to me. I can’t read a note today. I don’t have anything against people that can, god bless ‘em. It was beyond my reach to be able to do that. I couldn’t afford it. CM : Did you hear things on record too ? KK : Oh yes sir. One of my favorite groups – the first band I heard that really got to me—was Bob Wills and there was just something about the sound, the beat. I would listen to his records over and over and over. 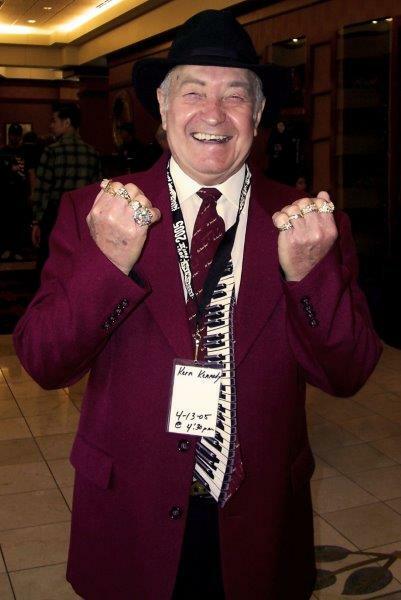 He had all kinds of great piano players. Al Strickland was the first, and a fellow name of Millard Kelso, great piano player. CM : Did you learn some particular things from Bob Wills ? KK : Yeah. Millard Kelso had certain licks that he played on songs like “Roly Poly” and I would learn those licks, try to play them note for note. Every once in a while I’d play with a western swing band and get to play that. A guy that’s been my idol over the years is a fellow named Moon Mullican [pictured], played on the Grand Ole Opry. Just a fantastic piano player. We all have someone in our minds : “boy I wish I could play like that guy.” Well, Moon is the guy that I wanted to play like. It’s a funny thing about playing. Some of the things I do are nothing new, but actually they’re so old that when people hear them they say, “I never heard anything like that.” Well, I mean, my goodness, it’s what - 50 years old, 60 years old ? Guys did it way back then. Never did see Moon perform. I heard him a lot of times live on the Grand Ole Opry and I’ve got nearly all of his records and tapes. He was just an absolute fabulous musician. “Cherokee Boogie” was a great song that he did. Another was “Pipe Liner Blues,” but the song that I play as much as any—and I’ve put this on a CD sometime back with the fellers—was “I’ll Sail My Ship Alone.” He just hit licks that nobody else hits. A little bit of country, a little bit of ragtime, some of what I call the old blues. He could incorporate three of these things into what he was doing all of the time. He just really amazed me. Now there’s been, understand, better piano players, a lot better, but nobody got to me like Moon Mullican. You know Jerry Lee’s copied a lot of the things that Moon Mullican did. If I’m trying to play some lick, I’m always reminded of Moon Mullican. I can’t play like Moon but he’s the guy that inspired me. And of course, the guys that played for Bob Wills. I got to see Millard Kelso play live. Oh, it just enthused me. Believe it or not, I played in my lifetime with a lot of the big timers, but one job I played enthused me more than any other. I got to play one time with [western swing fiddler] Johnny Gimble. You know, pardner, musicians are not necessarily enthused about singers. Musicians are enthused by other musicians. He played effortlessly. I got to play a job with him up in Batesville, Arkansas, and it just thrilled me, and I played on the stage a couple of times with Elvis, and I played on stage with Bruce Springsteen, that’s great and all that. As a musician, and I’m not putting singers down, but you see children out here five, six years old that sing well, but nobody walks up to an instrument and sits down and learns to play it without practicing. It takes hours and hours and hours. Some people have more talent than others but to play well nobody walks up there and just sits down and does it. When I finally got up and started playing with a group, I bought an old upright piano. I think I paid about $250 for it. Part of the ivorys was gone off the thing, but at least I didn’t have to walk uptown anymore. CM : How did you connect with other players ? KK : I met up with Sonny Burgess, and Sonny and I started playing something together. And this is where you find out for piano players, that everybody learns to play in C, the easy [key]. Suddenly, just a minute, here’s E and A on the guitar, you know. So you find out you have to learn to play in these other keys. One of my favorite sayings was : “When I take over the world, I’m going to buy the C chord. It’ll be against the law to play an E chord.” One of the advantages with the transposer [on an electronic keyboard] is you can pretty well play in anything you want to. Some of the things that Sonny does, I like to use the transposer. I use Roland products most of the time. If I transpose E, I can get a big, deeper bottom. Sonny really likes a lot of bottom in what he’s playin’, a lot of bass sound, a lot of heavy rhythm in it, so I use the transposer for that reason too. CM : Which key do you go from ? KK : If I want to make E [have] a great big deep bass sound I’ll transpose A into C which will give me G into E. It’s not that I can’t play in E ; I learned to play in E, learned to play in A. But I believe if we’re doing a performance, we have a duty to the people that we play for to do our best. We want to play the best we can for them. They paid their money to get in, and they’re the folks you’re playin’ for, so you need to get out there do your best. If I can play better in G than I can in E, then I have a duty to do that. I can play better in some keys than I can in others. CM : What are your favorite keys ? KK : Well, I love G, I love C, I love D.
CM : How about F ? KK : Yeah, I like that. I do a lot of pop stuff in F. I always refer to myself as a clawhammer and washtub musician. I’m not a cultured musician, I’m just playin’ as I feel. CM : But that’s the point. KK : It’s a strange thing that I’ve made most of my money playing rock and roll. But yet my favorite type of music would be western swing because it’s music for musicians. I used to attend all the conventions. KK : The ability of these guys to get the sound that they could get back there and not have the equipment like we have today. I can still sit down and listen to a 1940s Bob Will’s record and still get a great thrill out the sounds the fellers were able to get. CM : When you were playing in church you obviously had no record player, you were working off your memory. When you played at home were you then playing along with records ? KK : No, I would just have to remember how it went. If there’s something I really liked, I could retain that melody line. It just stayed with me. My favorite song of all time is a song I can’t even play. It’s the song “Laura.” I love that song. This CD I did [recently] has “All the Things You Are.” I took me two years to learn to do this song like I wanted to do it. I finally went into the studio and in six hours I cut 21 songs. But I had [worked on it] over and over and over, pardner. I can’t tell you what made me try to learn to do a song like – it changed keys so many times. KK : It’s really a difficult song. I bet you I couldn’t sit down right now and play it. It’s been four or five years since I did it. CM : But at least you did it. KK : Yeah, I did it. I’d say, “I want to be able to do this song.” The few times in my life I’ve ever played that I’ve been able to play to suit me, there was always something that I didn’t have that I thought I wanted. That was one of those songs that I learned to play that I was pleased with. I’m not cultured or polished. CM : What inspired you about “Laura” and want to play “All the Things You Are” ? KK : Listening to the radio I’d hear those songs. 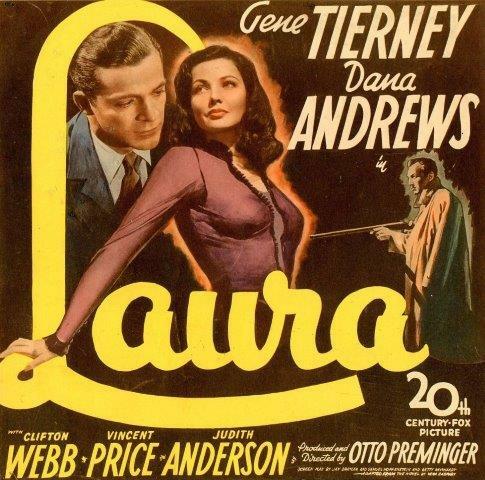 I don’t know whether you remember the movie or not, Laura with Gene Tierney and Dana Andrews but that was the first time I heard the song. I thought it was the most beautiful song ever. I said, “I want to learn to play this,” and, my God, I couldn’t even begin to get close to it because I just could not figure out where it went. CM : Did you ever hear the Spike Jones parody of it ? KK : Oh yes. Great, loved Spike Jones and the City Slickers. CM : There’s a bit of that in the Pacers, wouldn’t you say ? CM : You told me you met Sonny Burgess and he said the same thing, that he met you, was it in 1949 ? KK : Yes. Sonny was going to school in Newport and I was going to school in Tuckerman, and I think we both had got out of school about the same time. When you start learning to play you run into pickers. You’d play in several different bands, groups around. In the ‘50s we finally organized the Pacers. We opened for Elvis three or four times there in Newport, and we decided we’d go try to get on Sun Records. We went over there [to Memphis], and Sam Phillips liked us and signed us up. We didn’t do anything spectacular or anything like that. 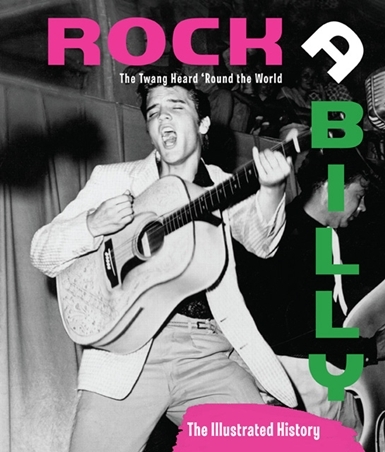 my interview with Sonny Burgess was published in Rockabilly : The Twang Heard ’Round the World - The Illustrated History. CM : You said you also performed with Elvis on stage. KK : In Newport. He offered myself and Punky Caldwell a job one night. Big guy. Fine, great horn player, absolutely, but that guy weighed 485 pounds. You talk about a big dude. CM : That would have changed Elvis’s sound a lot. KK : Later, after he left Sun records, Elvis became more polished as a singer. CM : In the 1950s, Sonny Burgess and the Pacers made some of the best rockabilly and they were very unusual. Not everybody had piano. When Jerry Lee Lewis came in, what did you think of him ? KK : I was enthused about Jerry Lee. We did some things with him out on the road. Of course, Jerry Lee was just a wild man, sort of. One thing I liked about Jerry Lee - I always heard some of Moon Mullican in him. I said, “Well, here’s a guy that hears things that I hear.” I didn’t ever do a lot of this [the glissandos] ; it really didn’t do all that much for me. I loved the single note stuff. I knew Jerry Lee was good. I knew he was going to be different and was real talented. 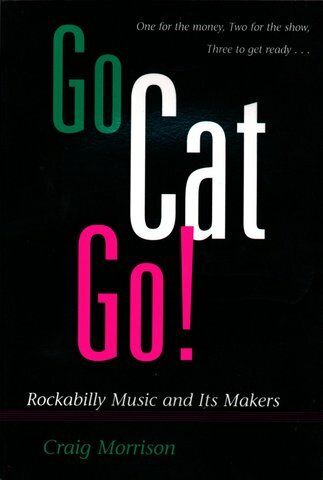 CM : The Pacers, with the piano and the trumpet, had a sound like no other rockabilly band. Great ideas. KK : That’s just like when Bob Wills started way back. They said “you can’t put horns in with violins, it’s not going to work” - and it did ! CM : The Bob Wills’ Texas Playboys group is playing here at the festival [see my interview with George Uptmor, fiddler with Bob Wills and the Texas Playboys]. KK : I did a thing in Marshall, Arkansas, opened up for them about two years ago – a great group of guys, old pickers, man, great ! CM : Is there someone who was a mentor to you ? KK : I learned things like take-offs, C to C# diminished, D minor and G. Little four bar intros, things like that. He showed me how to do them. CM : Did you have contact with him later ? KK : Yes, I did. He stayed out in California for a while, did real well out there. He come back home and I run into him and he and I sat down and I showed him some things I’d learned and he showed me some more things he had learned. He was a fine musician. The first time I really understood anything about learning to play harmony. Now, he could take that accordion and play harmony with a guy on violin and it just sounded like two violins. He showed me some of the rudiments of playing chords, like diminished chords, where everything’s not just a major chord. CM : Did he do any recording do you know ? Kern Kennedy at the Rockin’ ’50s Fest II, Green Bay, Wisconsin, 2005. Photo by Craig Morrison. CM : This is a question I ask just about everybody. How would you like to be remembered ? KK : I’ve never made any fame or fortune but what little bit I might have, I would like to be remembered as a guy that remained the same guy : thankful, grateful, humble. That God was good enough to me to let me play. I’ll be honest with you, I’ve seen guys turn snooty and belittle the people that helped make them. If somebody wants me to sign an autograph, I will take time to do it. There’s the people that’s paid for it, you know. I saw an old movie the other day, that James Stewart was in with Raquel Welch and here’s one of the things that they talked about. She was mad because somebody was taking up her time in autographing. James Stewart chewed her out, said, “Sweetheart, there’s the people that’s paying the bills. You get over there and you sign those things.” She learned a great lesson from that. I would hope that people would say, “There’s a dude right there, the same as he was the day he started.” So thankful to God that he hadn’t changed. Hardrock Gunter : "Birmingham Bounce"